Immense unemployment, increasing dissension, and despotic and corrupt authorities have created an ideal environment for the emergence of civil and democratic movements whose main objectives are to create and foster democracy. African Spring is seeking to facilitate an equitable distribution of resources and opportunities and adapt social constructs to advance democracy in African states. The organizations have created geopolitical tensions and pressure to remove despots who have amassed personal fortunes at the expense of the public. The discussion includes how citizens can present a united force and deploy peaceful demonstrations, drawing on collaboration and networking approach as a strategy, complemented by an active media to make effective democratic amendment. Important historical events are analyzed to facilitate an understanding of the critical success factors necessary in managing risk, uncertainty, and equality in fluid post-colonial contexts. 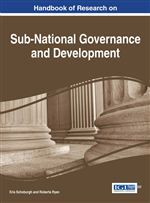 This chapter examines some of the successes and challenges of recent political revolutions in Africa, particularly in Egypt and Zimbabwe, and proposes the use of social constructs to design and implement democratic governances that can address the needs of the electorate. The chapter argues that pluralism can create successful administrations that encourage international investment in which individuals and corporations can be the key players in creating sustainable economies. The chapter is divided into four parts. The first part provides historical perspectives of colonialism and some of the events leading to the rise of nationalism and affirmative change in selected African states. The discussion focuses on political changes in Egypt and Zimbabwe and draws ratio decidendi from the latest revolts in some of the states. This first part also highlights the importance of the past in building successful, diverse communities. The second part reviews selected literature on some of the topical challenges faced by democracy. It describes how intended and unintended instant media coverage has captured the pluralism discourse, how political liberty has been achieved in Egypt and Zimbabwe, and the role of social networks in creating, diffusing, and distributing the knowledge required to expedite the uprising. This discussion makes it possible to chart organizations that have triumphantly advanced economic development. The third part examines how democratic organizations can be developed using proven change management methods such as Appreciative Inquiry (AI) (see Appendix 1), Community of practice (COP) (Appendix 2), and the Theory of Structuration (TS) (Appendix 3). Positive democratic change is rooted in the interdependencies between an organization and its environment. The philosophy of social construction incorporates co-construction and pluralism, properties that enable communities, states, or governments to pinpoint what needs to be done and proceed from there to implement national comparative advantages and effective organizational capacity. The chapter adapts the three paradigms of AI, COP, and TS to chart the modus operandi in building triumphant businesses and governance. For example, organizations, whether operating at local or international level, must be efficient and effective in what they do, and so must structure their existence in accordance with prevailing global conditions. AI and COP can be deployed at an organizational level to understand the nature and description of prevailing economic conditions and to create, diffuse, and distribute the knowledge required for effective business operations. At a national level TS can be applied to create social systems that are based on national goals and agency. Giddens (1984) has argued that human agency and social structure are not separate concepts or constructs, but are two ways of considering social action. There is a duality of structures: one side is composed of situated actors who undertake social action and interaction through various knowledgeable activities; at the same time, it is also the rules, resources, and social relationships that are produced and reproduced in social interaction. Giddens asserted that TS means studying the ways in which social systems are produced and reproduced in social interaction. In a democracy the state and private sectors are equal players in creating a sustainable economy. All in all, elected governments must create an environment with minimal uncertainty and with reasonable risk and sufficient incentives for corporations to create sustainable jobs. The fourth part discusses the limitations of the study and presents the conclusion.